Recently, NHL suffered a technological tragedy. 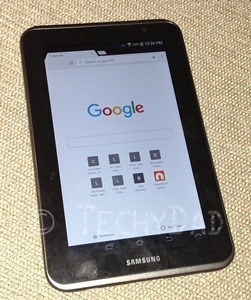 His beloved Galaxy Tab 2 tablet died. NHL plays many games on his tablet and, over time, had accumulated quite a bit of progress. The idea that all of this could be lost was quite upsetting to him. After much troubleshooting, including contacting the company and exploring sending it in for repairs, we got it working again. Though we found a solution, let’s be honest. No device is going to last forever. At some point, something will happen that will mean the device can no longer be used. With that in mind, how can you protect your child’s data/game progress? Let’s deal with the data first, since that’s the easy one. Some tablets and phones support microSD cards. If your tablet does, you can host photos, videos, and other important data there. What about the games, though? If your device dies and you get a new one, you’ll reinstall your apps only to find yourself staying from square one. What we need is a way to back up the app’s data to be restored on a new device. Unfortunately, there is no single solution to this problem. Each app is different. Some connect to your Facebook account (or another online account). For these, you merely need to log in on your new device and your game progress will transfer to the new device. Of course, this does present problems if the game to be backed up us for a child. Facebook limits accounts to people 13 and older. Even if they allowed younger people to join, I’d hesitate to put my young children in social media without any preparation merely to save a game. For other games, there might be a support code in the app. Write this down somewhere safe and should you need to restore the game to the new device, you’d just send them this code in a support request. Of course, this process’ effectiveness will vary depending on the game company’s responsiveness and how old the game is. Some will respond quickly while others might not reply at all. With the name TechyDad, you might guess that I love all things tech. You’d be right, but often monetary realities mean I can’t get every cool new piece of tech. Instead, I need to sit on the sidelines and watch as others enjoy fantastic products on the cutting edge. Recently, Verizon Wireless gave away Star Wars branded Google Cardboards for free. As one might expect, they were swamped by Star Wars fans. B and I managed to get a free Google Cardboard each. What I wasn’t prepared for, was how cool Google Cardboard was. 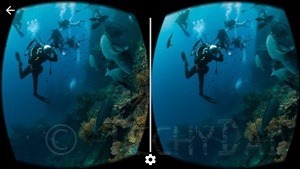 Google Cardboard is a very simple virtual reality viewer. The specs were released by Google and consists of pieces of cardboard, two lenses, and some Velcro. 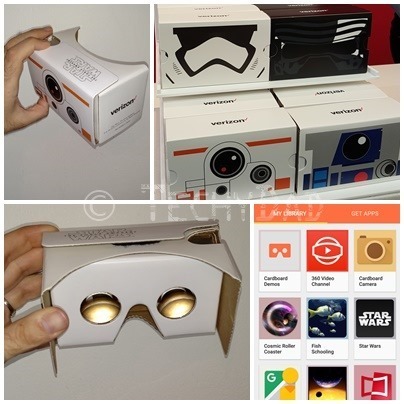 If you repurpose a pizza box, you can build your own Google Cardboard for under $10 in parts. Alternatively, you can buy models online. I’ve seen everything from simple cardboard-based Cardboard viewers for $5 to high-end-looking molded plastic models (complete with head straps and foam padding for a comfortable fit) for $30. Compared with other VR viewers that cost $200 or more each, Google Cardboard is definitely cost-effective. Your phone gets placed into a holder and the screen is split and distorted (by the Google Cardboard app – free for Android or iOS) so that looking through the lenses results in a 3D experience. NOTE: Some Google Cardboard viewers include magnets that are used to interact with the virtual environments. The magnets temporarily mess with the device’s compass which Google Cardboard interprets as a click. My viewers didn’t include this magnet so I can’t speak to how well this works. Cardboard Camera: This is a VR viewer as well as a VR creator. The camera lets you create 360° panoramas as that you can then view using Google Cardboard. I’ve created VR panoramas of JSL in the yard (where he ran into different positions during the panorama creation – making it look like there were three of him), NHL’s school auditorium before a concert (when it was almost totally empty), and panoramas of JSL in his blanket fort. I’ll definitely be using this on my next vacation so we can drop back in at any time. Cosmic Roller Coaster: Like the title says, this app takes you on a ride through a solar system not too unlike our own. You rocket from the outer reaches, past planets and moons (with many close calls along the way), until you circle into the sun. I found this to be mildly impressive, but not as good as Titans of Space or VR Roller Coaster (both of which I’ll cover in a bit). Fish Schooling: This app lets you scuba dive without any equipment rental or training. As you look all around you, fish of many different types swim by. This app was impressive at first, but quickly got boring. Here’s hoping a future update adds some variety like sharks swimming past. 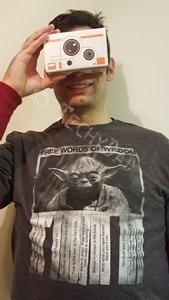 Star Wars: This was the obvious draw of the Star Wars-branded Google Cardboard viewers. Along with the non-Cardboard content (such as GIFs and emojis), the Star Wars app included a Jakko Spy feature which transports you into the world of Star Wars for brief segments. You get to look all around a desert planet, ducking as spaceships fly overhead, and greeting BB-8 as he rolls up to you. Needless to say, my boys and I geeked out over this. Even B had a mini-geek-out moment when she said “Oh, hi there!” as BB-8 approached her. 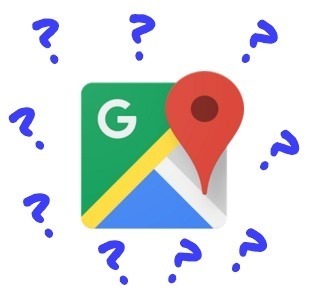 Street View: This is Google’s normal Street View app. 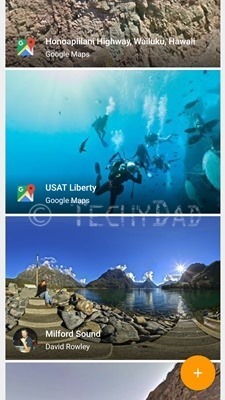 It contains not only views from every street that Google has mapped worldwide, but images that others have contributed. Viewing Street View images is impressive on a desktop/laptop screen, but Google Cardboard takes it up a notch. With a quick search I can be on top of the Empire State Building, at the Western Wall in Jerusalem, looking at a castle in England, or even scuba diving with fish nearby. Possibly the most surreal moment was when I looked up my own house on Street View one night. My brain said that I was inside the house, but my eyes reported that I was outside and the house was right in front of me. The conflict was almost dizzying. I’ve decided that I need to use this app to take quick five minute vacations. When life gets me down, I’ll just pop on over to some scenic local and pretend that I’m somewhere else for a few minutes. Titans of Space: After Cosmic Roller Coaster, I wondered if there were more scientifically accurate solar system models. I’m not sure how accurate Titans of Space is – clearly they “compress” space so that traveling between planets doesn’t take months or years which also means that planets appear bigger from the orbit of other planets than they should. Still, this app makes up for this with the sheer amount of information it gives on the planets and moons in our solar system. And when your solar system tour is done, be prepared to have your mind blown when it shows you how big other stars are compared to our Sun! TurnMe Panorama: During my recent cruise, I took quite a few panoramic shots. I wondered if there was a way to turn these normal panoramas into VR panoramas. Obviously, they wouldn’t be 360° shots, but perhaps Cardboard could display them as if I were looking at giant prints of the panoramas floating in front of me. This is exactly what TurnMe Panorama does. It’s not perfect, but it definitely beats looking at a squished down version on my monitor or having to look through it with keyboard/mouse clicks. VR Roller Coaster: One of my first downloads after I got Google Cardboard was a rollercoaster app. I’m not sure why this was as I’m not a huge rollercoaster fan, but I quickly found and downloaded VR Roller Coaster. I put on the viewer and found myself rocketing around turns and going into loop-de-loops high in the air. Though I wasn’t really moving, I could feel my stomach begin to react to the virtual coaster. This is definitely my favorite roller coaster of all – if only because you can “jump off” at any time by removing the Google Cardboard. I don’t recommend trying this on a real life roller coaster. If you’re looking for a cool VR experience without draining your bank account, I’d definitely recommend Google Cardboard. About a month ago, JSL came home from a play-date proclaiming that he loved Minecraft. 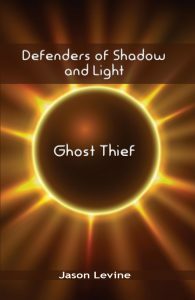 We had intended on introducing his older brother to the game at some point figuring that he’d enjoy the building aspect. We didn’t expect his brother to fall in love with it first. Still, we purchased Minecraft: Pocket Edition to put on their tablets and off they went building. 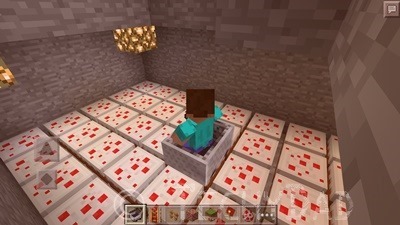 After doing some research, I even set up a PocketMine server so we could all play in the same world. (After doing this, I realized that we could just pop into each other’s worlds while we were all on the same Wi-Fi network. ) 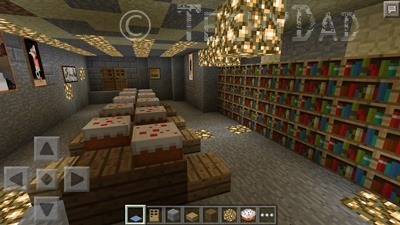 I also downloaded some maps for the boys to start them off with some creations to build on. After awhile, I began to get curious about just what they saw in Minecraft so I installed the game and got a theme park map installed. Soon, I was having fun on the pre-made rollercoasters. The boys quickly jumped into my world and we all ran around in-game trying out coaster after coaster. As I tired of simply riding what others had built, I decided to see how easy it was to build coasters. I started to build my own coaster and was hooked. I made a "Coaster To The Sky." 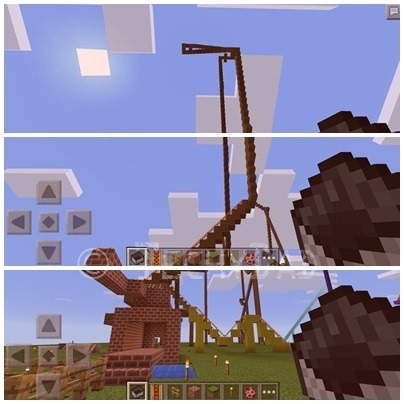 It went up as far as Minecraft would allow me to build – just about touching the clouds – and then raced down. Every time I thought I was done, I got another idea to add to it. Eventually, I had the cart end up dropping into a deep pit where it landed in a room floored with cake. JSL tired of trying to build rollercoasters and asked me to install a castle map that he had found. As he played, I jumped into his game and looked around. When he told me that the castle was off-limits for my building, I walked into the lake and began to dig. Eventually, I was able to build a cavern underground that was dry. I improved on my new underground lair, but tired of the water constantly threatening to flood my land. So I blocked off the entrance, dug a tunnel to another, drier, section, and expanded my underground operation. At this point, I have stairs, a bedroom, a dining room, and a few spare rooms whose purpose I haven’t decided upon yet. 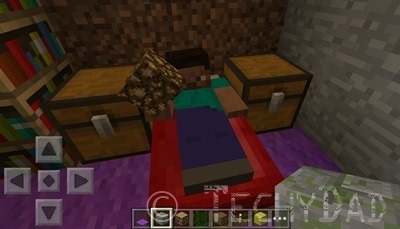 Even in Minecraft, JSL is a bed invader. He decided to come into my area and lay down on my virtual bed. Now that the boys and I are hooked on Minecraft, we can play and build together often. There’s only one thing missing: We need to get B hooked on Minecraft also! 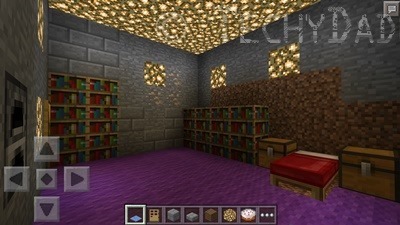 Are you or your kids hooked on Minecraft? If so, what’s the coolest thing you or they have built in the game? Back in March, I wrote about moving from my old smartphone to a new one. Well, thanks to B getting a new phone from Verizon Wireless, I’ve had to do it again. This time, however, things didn’t go as smoothly as the first time. For the first move, games tended to fall into one of three categories. The first was games whose data I couldn’t move over but whose data I really didn’t care about. For example, I enjoy playing a backgammon game and the app keeps track of the games won and lost. I didn’t really mind having that counter reset. The second category was games whose data I was able to move either by signing into an online account if by contacting the developer. The third category was games whose data I couldn’t move but which I realized I hadn’t played in a long time. This time around, there was a fourth category as well. These were games that I cared about and could be moved – but only by logging into your Facebook account. Problem: I didn’t have a Facebook account. Though I’m on social media, I’ve steadfastly refused to open a Facebook account. I refused when I saw that a lot of people that i knew were on Facebook. I refused when groups I would like to be a part of were only accessible as Facebook groups. I refused when my wife kept telling me it was a great way to keep in touch with family and friends. Part of my refusal was due to time constraints. I don’t have a lot of time to spend on social media in general. I’d rather focus on one or two social media platforms than to spread myself across too many and not be able to keep up with any. In addition, Facebook has had a lot of piracy and usability issues. I didn’t want to subject myself to that. Still, I *needed* to get those games transferred. What was I to do? In the end, I gave in and opened a Facebook account to transfer my games over. Don’t expect my to Like your Facebook posts or add you as a friend, though. My profile remains almost completely bare – I didn’t even bother to add a profile image. The only purpose for this account was to assist me in moving my game data. Now that this is done, the account is only going to be used for saving game data. What lengths have you needed to go to to keep your game progress?